Handcrafted in the USA from select American pine. 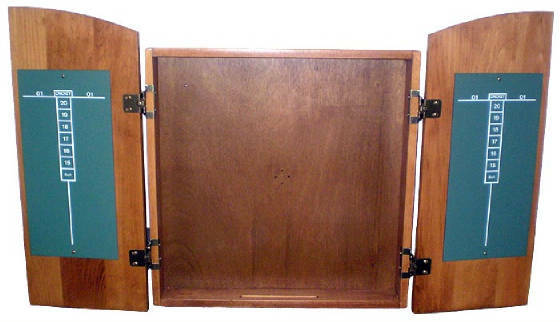 Scoring tables on inside of cabinet door and includes a standard Bristle Board. Outside dimensions: 22"w x 25.5"h x 3.5".